Fred Flare is known for kitschy, one-of-a-kind gifts and accessories, but this season they are also serving up an impressive collection of affordable, fashion-forward coats. We all know that a great statement-making coat is a wardrobe essential for fall, and it's good to know you can find one without breaking the bank. (Need money for boots, after all.) Here are my some of my Fred Flare favorites, mostly under $100. 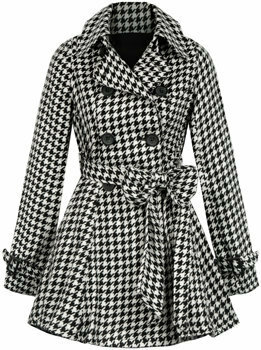 The houndstooth beauty above is just $82! Christian Louboutin's glitter slingback pumps scream celebrate! They originally cost $690 at Neiman Marcus but have sold out. 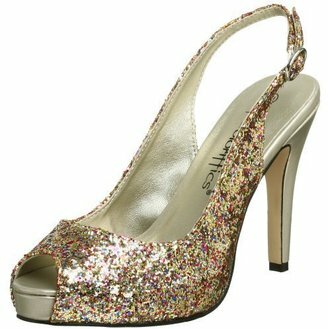 These Coloriffics Gala Pumps are a great budget-friendly alternative and perfect for the holidays. Available in either light-catching metallic gold or silver, these shoes cost $55.95 at Endless.com. Thanks to Nika S. for sharing this amazing find!